This is a self-portrait by Adolf Dauthage. Dauthage was a nineteenth-century Austrian lithographer. Working for the most part before photography became available, this means it was his job to draw portraits of high society, which could then be multiplied without limit using the new technology of lithographic printing, and serve as publicity material. At the very start of his career as a portraitist, however, he drew himself (pictured here), as a soldier. 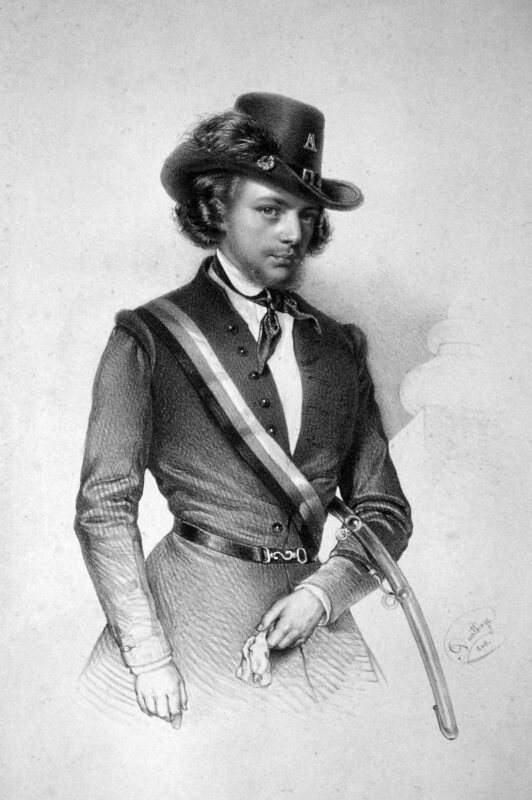 And not just any soldier: this is the uniform of the Viennese Academic Legion, one of the many militia that were formed by students across Europe during the 1848 revolutions. They looked like a troop of knights of old. Indeed the uniform can be said to express a very romantic masculinity. 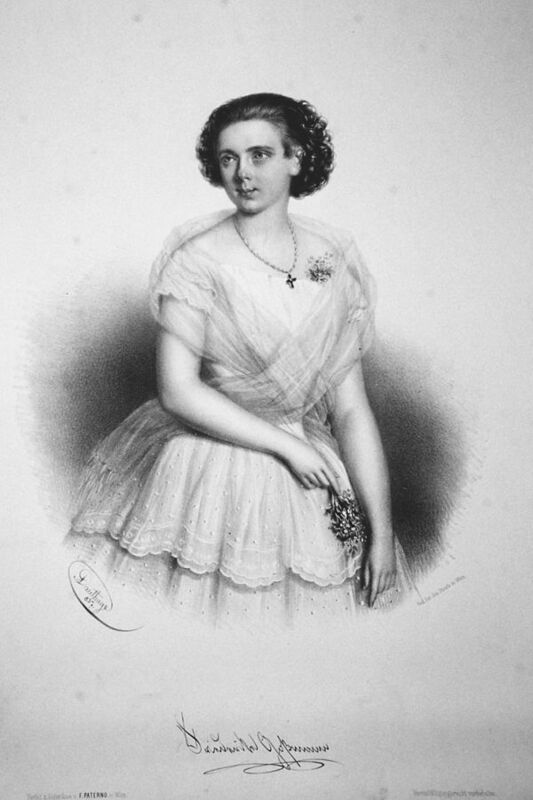 Actress Friederike Gossmann, by Dauthage (1857). Wikimedia Commons. 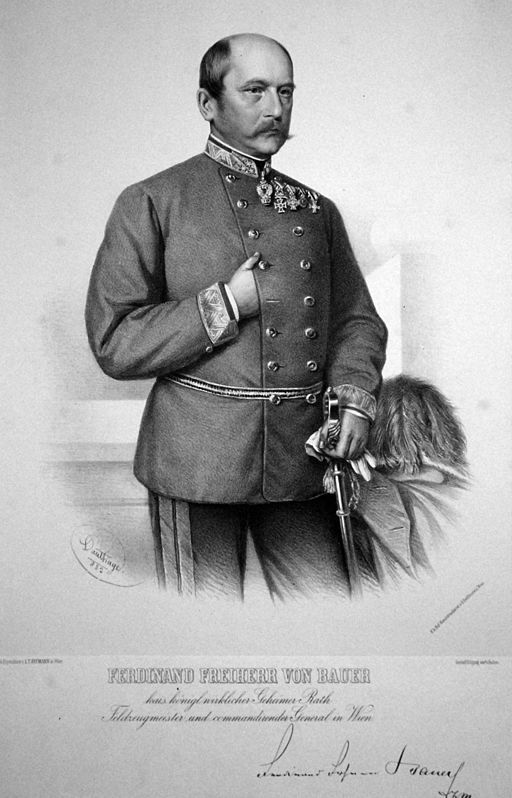 General Ferdinand von Bauer, by Dauthage (1882). Wikimedia Commons. 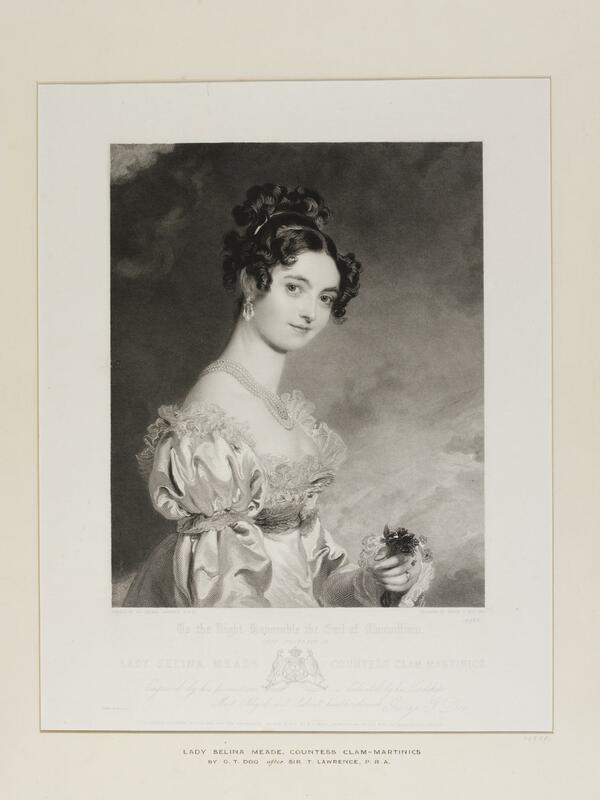 Lady Selina Meade Countess Clam-Martinics, by Thomas Lawrence (1835), photo © Victoria and Albert Museum, London. It is rare to see a man portrayed with his head bent down, looking up at the spectator. Especially a military man. Perhaps this is all a figment of the imagination and we should look for the reason behind Dauthage’s posture in the history of self-portraiture: perhaps the coy look I saw is in fact the penetrating look of an artist looking at their own face in the mirror (think Rubens, Van Dyck… Gluck…). Yet looking at the portrait naively, I felt Dauthage might be having a private cross-dressing party in his studio. Quoted are The reminiscences of Carl Schurz (New York: McClure, 1907-1908. ), p. 145.